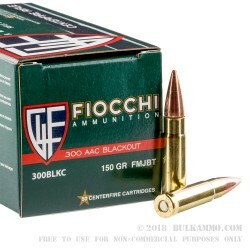 Fiocchi's 300 AAC Blackout ammo offers a good price point for quality range ammo. 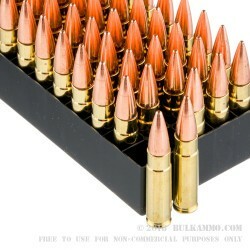 This load features full metal jacket projectiles weighing 150 grains seated on top of factory fresh 300 blackout brass. This boxer-primed brass is well suited for reloading and this ammo is not attracted to a magnet. Since its approval as a SAAMI caliber in 2011, 300 AAC Blackout ammo has seen steadily increasing interest by seasoned shooters. Manufacturers across the board have taken note which has helped make this caliber's ammo more reasonably priced as more competition has entered the fray. Fiocchi has been loading this caliber in the States for several years and due to its competitive price point and solid quality this product is a great option for 300 Blackout shooters who don't need to shoot suppressed. 16" 1 in 8 Radical Firearms, JP SCS H2 and 3 port comp. 1.5 inch 5 shot groups at 100 yds with a red dot sight. This stuff has reviews on both sides. I've never witnessed a blown primer with my second purchase of this stuff. I hope if some bad lots did get folks, the problem is addressed quickly. But like I said, no problems with my particular purchase. Might depend on the gas system you have. 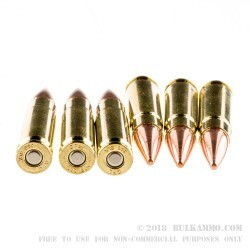 I have cycles close to 1000 of these through my build and not once have I had any problem with this ammo. This 1000 rounds are from different orders and different batches. Bought 500 rounds to test. Primers were popping about every 2nd to 3rd round. I have not gone through the remaining 100 rounds, but I am guessing they are all the same. GOOD stuff NO problems ,works as good as the company that sold them to me!! 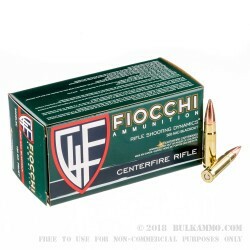 I have shot Fiocchi ammo in a lot of calibers, it has all preformed very well. The 300 Blackout was very good also, however you should note that 150gr. loads in a 12in. or less barrel will not function with out a suppressor , unless it has am adjustable gas port. 1st time customer. Great prices and fast shipping! Great ammo at a great pice. Q: Is this ammo sub or supersonic ? A: Hello Joe, This Fiocchi ammunition is loaded to supersonic velocities. Q: Is this ammo subsonic? A: Hello Bill, No, these 150gr. FMJ rounds by Fiocchi in .330 Blackout are not subsonic. They have a muzzle velocity of 1925 fps. They do make great target rounds in .300 Blackout.